When I was in elementary school, I wrote a diary entry about reading seven chapter books in one day. I can’t make the time for that anymore as an adult with a full-time job. However, I should be able to read at least one book a month — but I don’t. I love reading, but I haven’t made enough time for it. So, I’m going to challenge myself, and offer something for readers in the process by choosing a book related to running to read each month and blogging about it on the first of the following month. Blogging about the books will also keep me motivated because I will have told you all — the readers — that I am going to finish each book by a certain date. 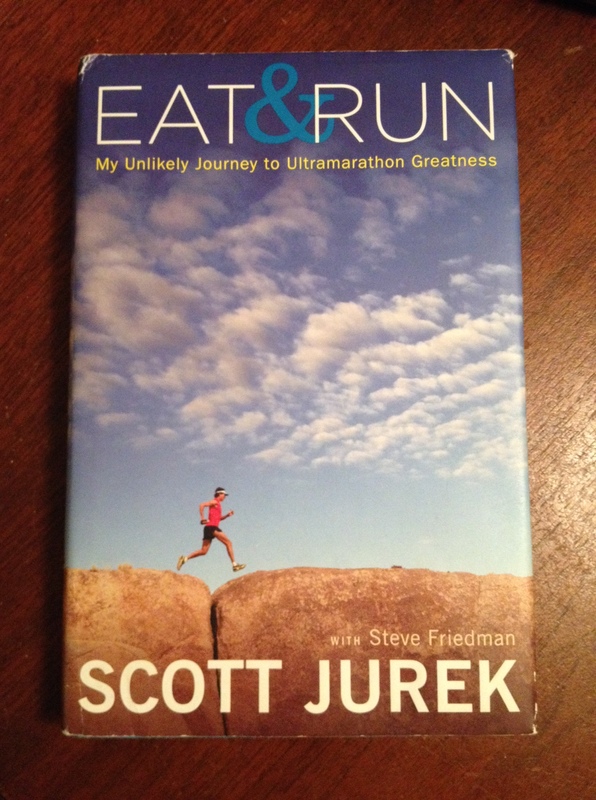 This month, I’ll be reading “Eat & Run” by Scott Jurek. I asked for suggestions on Facebook, and it was suggested twice. I was also able to borrow the book from my friend Michelle. And, Scott Jurek was part of the book “Born to Run” by Christopher McDougall, which I enjoyed. I’m looking forward to this new series. Feel free to suggest books for me to read later this year in the comments. Look for my post on “Eat & Run” on April 1.